(Energy Analytics Institute, Pietro D. Pitts, 7.Apr.2019) — Argentina contains the second largest recoverable non-conventional natural gas resources in the world with 802.2 trillion cubic feet (Tcf), only trailing Asian giant China, which holds 1,115 Tcf, according to data published by US-based Energy Information Administration or (EIA). 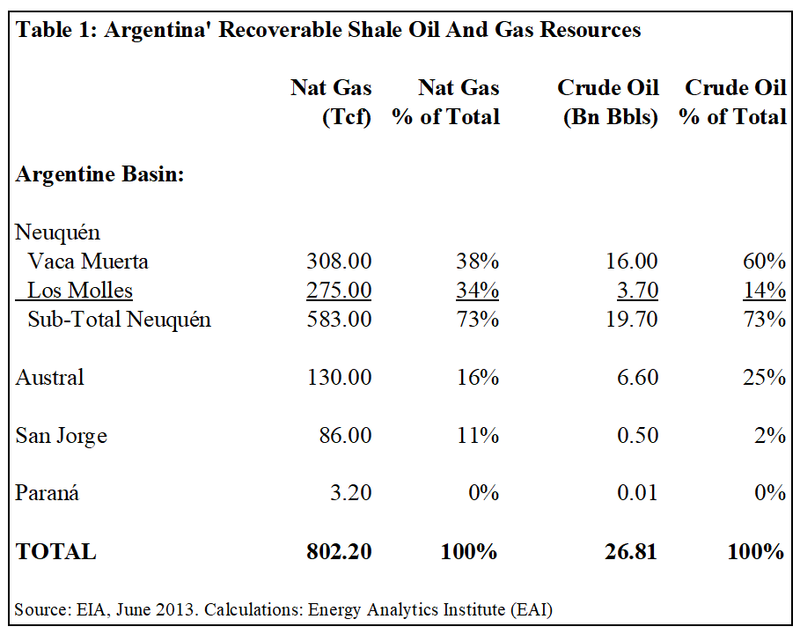 Of the resources, Argentina’s Neuquén basin holds 583 Tcf, or 73% of the country’s total recoverable shale gas resources (see Table 1). The remaining resources are located in the following basins: Austral (130 Tcf, 16%), San Jorge (86 Tcf, 11%) and Paraná (3.2, 0%), as summarized below.